Summer Furniture 2018. Amazing events along with wonderful weather! 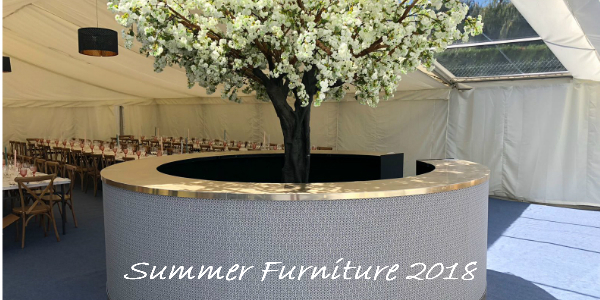 The summer period has drawn to an end, so we look back on what furniture was popular throughout the few months of glorious sunshine! Every event is different, meaning no event will have the same furniture. 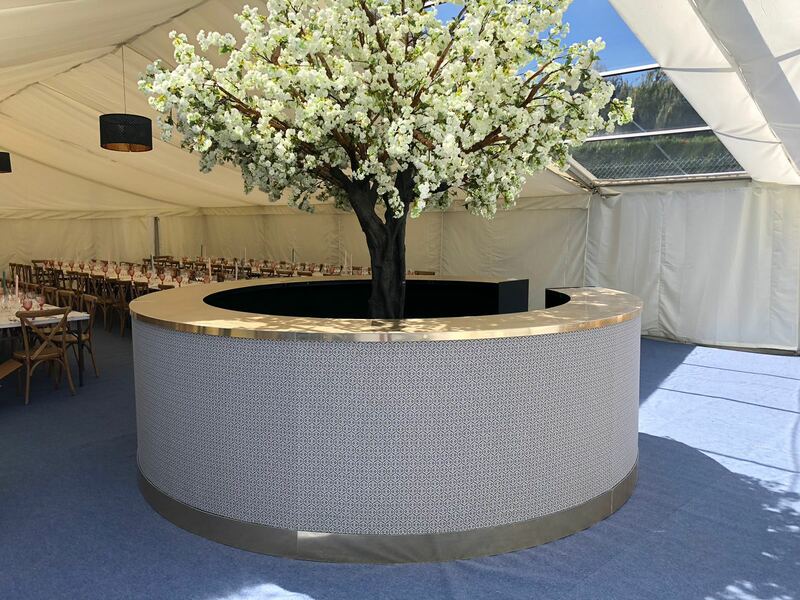 Whether your event is taking place in a marquee / luxury tent, or a hotel / function room, we can supply the most stunning furniture to wow your guests! Get the drinks in! Bars are well known to be at any event. F4E have an amazing selection of bars to choose from, so you’ll be sure to find one perfect for your event! A favourite bar this summer has got to be the mirrored bars! 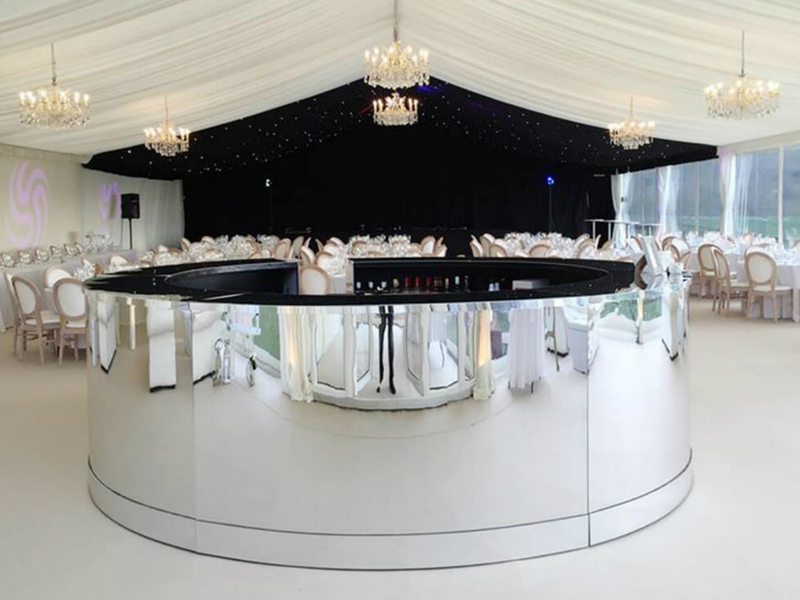 Mirrored bars are a perfect choice for day and night events as they provide a stylish, sleek look. Another go-to bar this year has been our Fabric bars. A great choice for events which require a bespoke look because you can choose the fabric colour! Or you could source a patterned style fabric to suit your event and we can put this onto our bar for you! 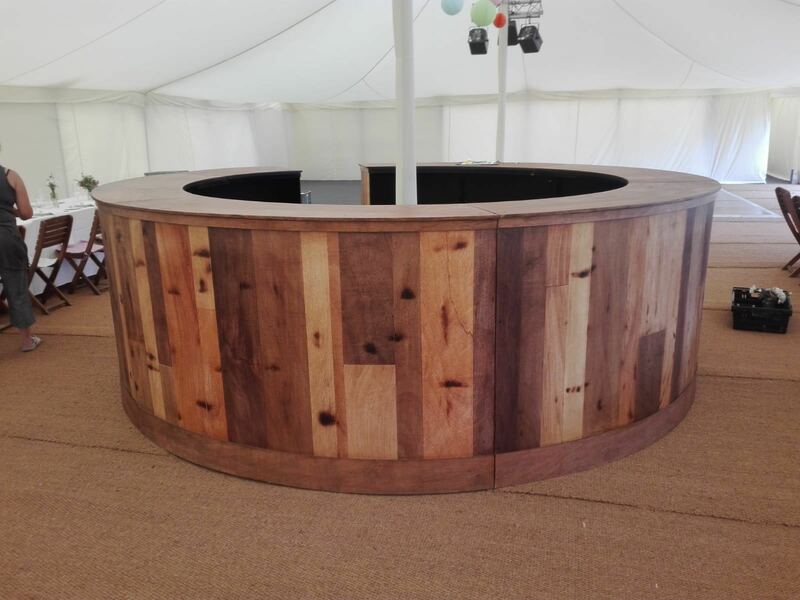 Furniture4Events have created something new this summer… The Rustic Wooden bar. Our amazing workshop team have used different shades of wood to create this stunning end result. A perfect choice for any events requiring a traditional or vintage feel, or rustic barn/countryside settings. Use this bar at your chosen venue as a beautiful centre piece. Banquette benches and cubes are of course a favourite at all events! 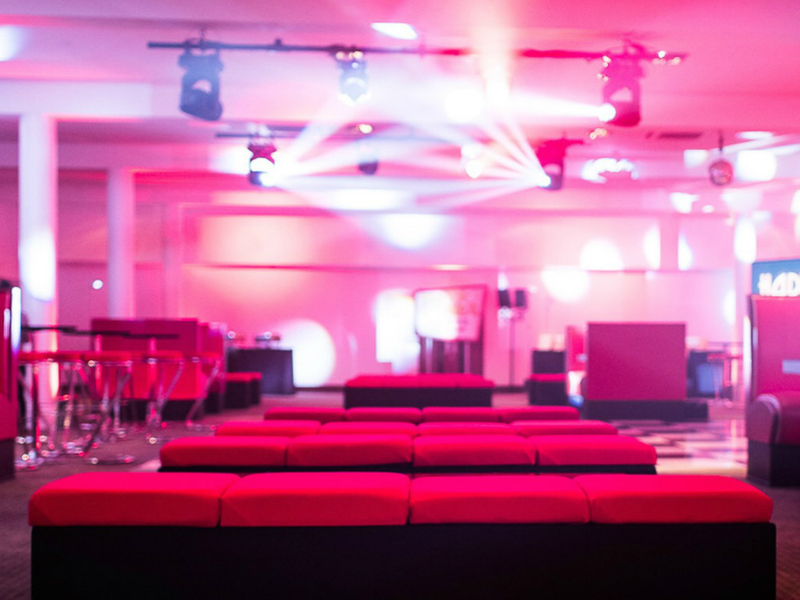 Banquettes provide a comfortable seating area and are available in a colour of your choice, making these perfect for events which require bold colours. To finish this style of seating, add the banquette coffee cube and finish with a silver or gold mirror top. Another all-time favourite for summer seating is the Chesterfield sofas. 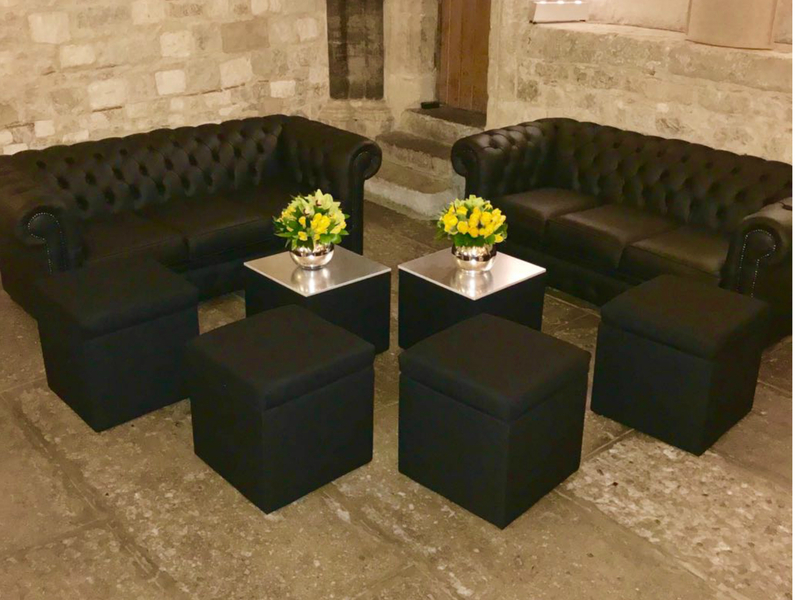 The Chesterfield sofas adds a classic look to events and are often hired alongside our banquettes to create a comfortable chill out area. Our Luna modular seating has also proven to be a popular choice this summer. Luna seating can be made into an infinite number of configurations, meaning it can be made to fit the space you have available! 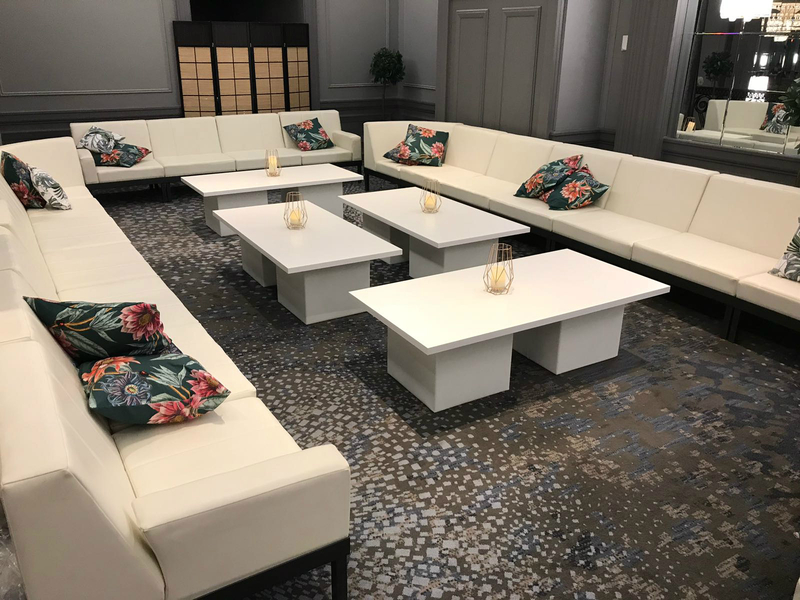 Even more of a reason to have this seating at your event! 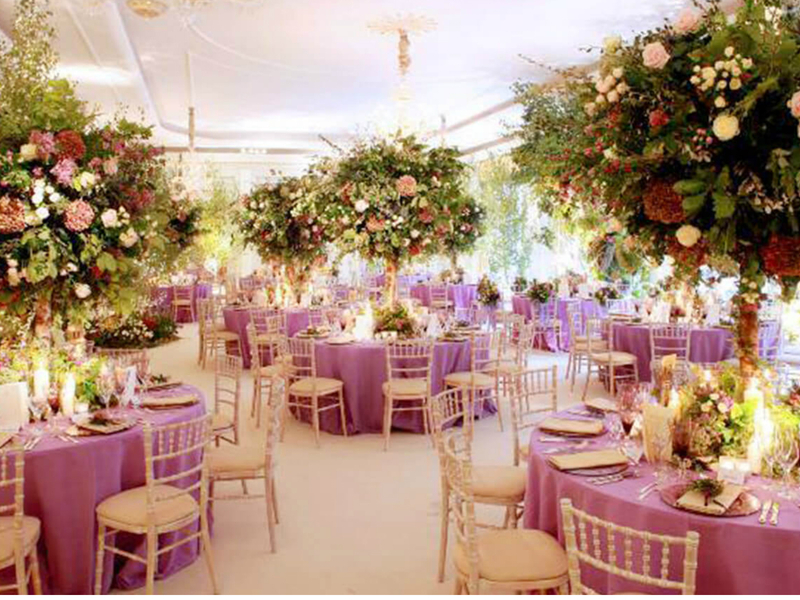 Formal seating is an important part to your event. You spend majority of the time sat down (unless you are throwing shapes on the dancefloor! ), so you want to ensure the seating is going to be comfortable and of course stylish! Our Camelots are popular year after year. Camelots have been designed with comfort in mind, so the back is slightly curved making this different to the Chivari / Chiavari chair. A favourable colour choice is the Limewash – perfect for that traditional, rustic style. The Isla chair has also proven to be a favourable choice throughout the summer period. The Isla chair is often referred to look like the Iconic French-style Louis chair. 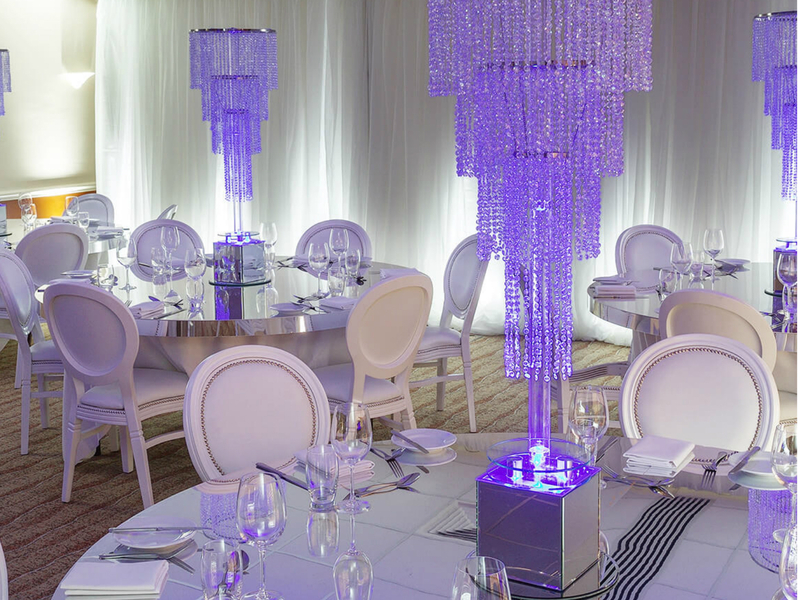 Popular choice for events which are looking for a sophisticated high-end look. 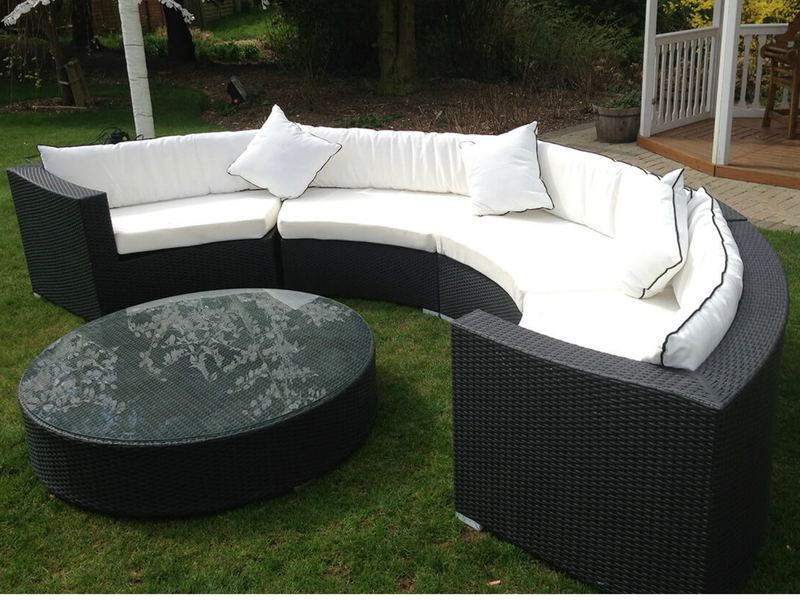 Another popular choice for seating is the Charcoal Outdoor Rattan. 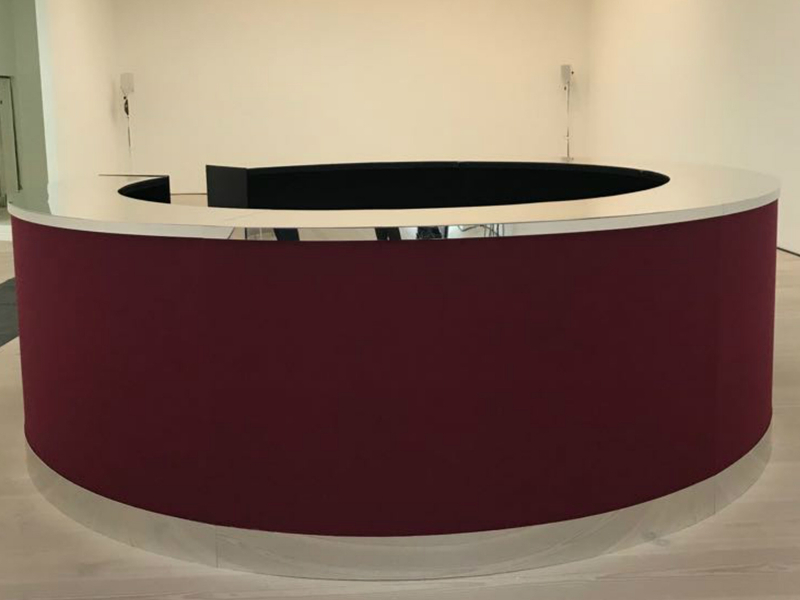 Available to hire in curved or straight sections, which can be extended to seat however many guests you need, amazing right? 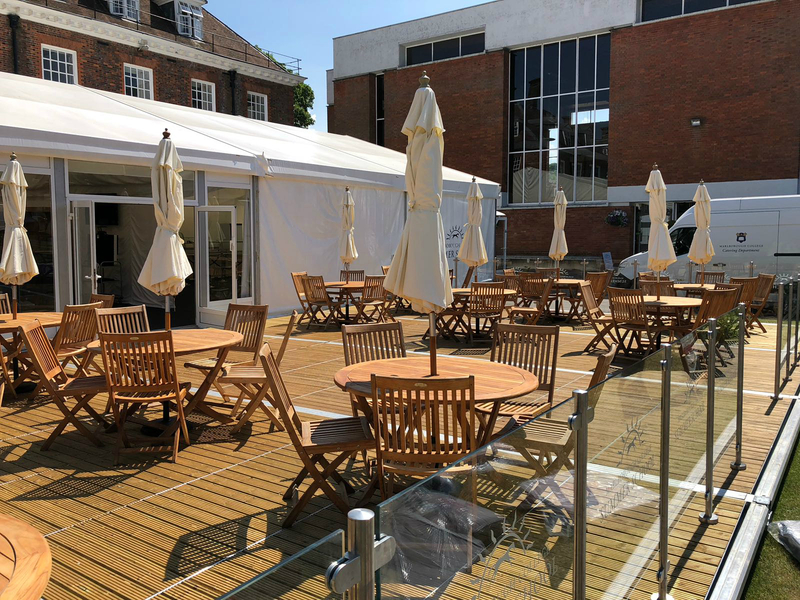 Our Teak sets are always a popular choice for any events taken place outdoors. 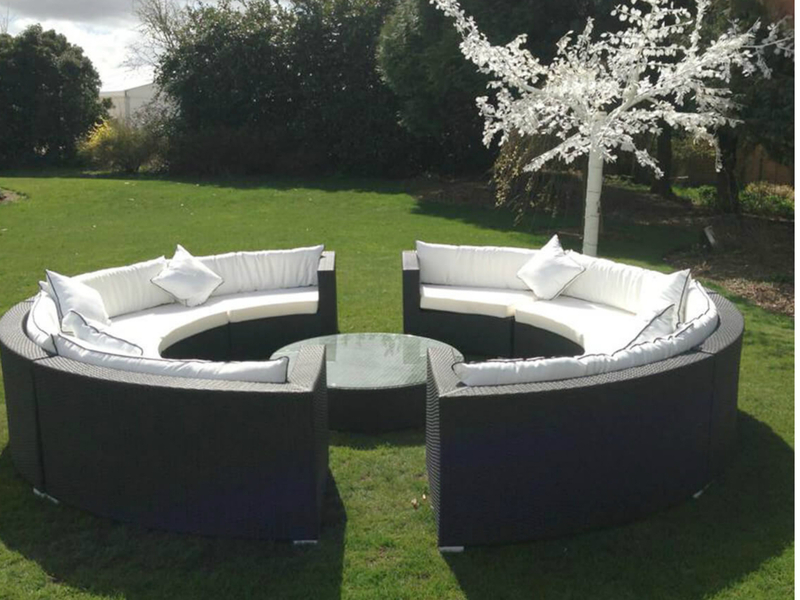 A great choice for informal seating areas and are well known to be at sporting events throughout the summer period. 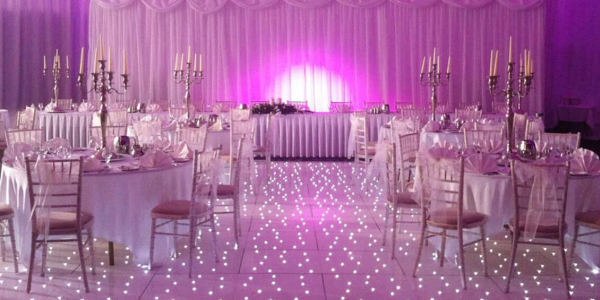 A popular choice of dancefloor for this time of year is the White Starlit LED dancefloor – providing a glistening sparkle beneath your feet, making that first dance extra special! Also available to hire in black or black and white pattern.